WASHINGTON – It is a monumental shift in major race that could be sending shock waves through the GOP establishment. Underfunded and targeted by GOP strategist Karl Rove, Rep. Steve Stockman, R-Texas, has defied the odds in his long-shot bid to topple the second-most powerful Republican in the U.S. Senate, and is on the verge of forcing a crucial runoff with incumbent Sen. Jon Cornyn, R-Texas, in the Texas GOP primary. According to the results of a stunning new poll, Cornyn has fallen from 50 percent to 43 percent. That means Cornyn would have to gain eight points in the next two weeks, before the March 4 GOP primary, to break the 50 percent threshold to avoid a runoff, but he seems to be losing ground, fast. A runoff is critical because it can change the entire direction of a race. That’s why forcing a runoff is the centerpiece of Stockman’s strategy, the same strategy that sent Sen. Ted Cruz, R-Texas, to the Senate in 2012. The goal is to force a runoff to buy time needed to rally the grassroots, raise funds and obtain key endorsements. Cruz entered the race in 2012 as a little-known and under-funded outsider taking on the GOP establishment candidate. Cruz began with a double-digit deficit in the polls, but after getting his opponent under 50 percent and forcing a runoff election, he garnered key endorsements from such GOP kingmakers as Sarah Palin and Jim DeMint. Cruz then went on to beat Lt. Gov. David Dewhurst by 14 points in the runoff and then beat the Democrat by 15 points in November. But Stockman hasn’t just put Cornyn in danger of a runoff. In a dramatic turnaround, the challenger has also put himself within striking distance of the incumbent, and he’s closing – fast. When Stockman unexpectedly entered the race at the last minute in December, the initial poll had Cornyn at 50 percent and Stockman at 6 percent, a difference of 44 points. With the latest poll showing Stockman has jumped to 28 percent and Cornyn has fallen to 43 percent, the difference is now just 15 points. That means Stockman has made up an incredible 29 points since entering the race. Cornyn, the minority whip in the Senate, was introduced at a fundraiser in Longview, Texas, on Sunday by Rove. Stockman pointed out that Rove and Cornyn do not mention who did the ranking. Indeed, it was the National Journal that declared McCain the Senate’s most-conservative member in 2010. The congressman also pointed out that the conservative Heritage Foundation ranked him and Cruz as the most conservative Texans. Stockman also zeroed in on crucial factor revealed by the poll. While there are now only 15 points separating the two candidates, 29 percent of Texans are still undecided, giving the congressman ample opportunity to catch the senator. “We don’t tell everybody our campaign strategy when asked about it, but we have been very aggressive in numerous ways, and we have apparently made inroads. And we’ll continue what we’re doing,” said a soft-spoken but seemingly confident Stockman. Another potentially key factor that could help Stockman is that the Gravis poll was done from Feb. 10 to 12. That was just before Cornyn joined Sen. Minority Leader Mitch McConnell, R-Ky., in casting the key votes that persuaded just enough fellow Republicans to join Democrats in lifting the debt ceiling. Stockman mentioned that could cost Cornyn even more percentage points, because the vote was sure to have upset conservatives. Cornyn has almost $7 million in campaign funds in the bank compared to Stockman’s $47,000, but Stockman has gained key name recognition, and has made a name for himself in a short time during his second stint in Congress (he previously served from 1995 to 1997), as one of the most reliably conservative voices in the House of Representatives. Scathing remarks like that are why Stockman has become the darling of so many conservatives and the bogeyman to such liberal outfits as MSNBC. The congressman has made numerous fans and foes with such headline-grabbing maneuvers as bringing WND columnist Ted Nugent as his guest to last year’s State of the Union address, and calling for the House to begin impeachment proceedings against President Obama after walking out during this year’s address. Now he is taking the biggest gamble of his political career, risking his safe seat as a member of the House in a long-shot bid to oust Cornyn. The congressman said all of his victories have been David versus Goliath races, noting that he beat the chairman of the House Judiciary Committee, Rep. Jack Brooks, D-Texas, in 1994 even though the incumbent outspent him by 12 to one. The man who likes to say, “I was tea party before there was a tea party,” says the trick is getting his conservative message to the voters. “In 2012, I was such an underdog the Houston Chronicle proclaimed I had no chance of winning. They did this horrible piece on me, then said, ‘But don’t worry! He has no chance of winning, because he has no campaign ads, no consultants’ and so on,” Stockman cheerfully recounted. Why is this such an important election? “Because John Cornyn is the second-highest ranking official in the Senate. He sets agendas. That’s why I gave up my seat. He’s so critical to the direction this nation is going, and to have someone who is committed to being less confrontational with Obama and try to be more appealing to Obama, as he advised, I think is a mistake,” the congressman opined. Stockman said the GOP actually lost seats when Cornyn was chairman of the National Republican Senatorial Committee because he doesn’t advocate a conservative agenda. The congressman said the senator only sounds like a conservative when he runs for re-election. That’s why, he said, it is so important to beat the man who now serves as minority whip in the Senate. The congressman maintained it is one thing to face a Democrat as a clearly defined opponent, but quite another when you have a Republican who consistently works against other Republicans, saying that Cornyn worked against Sen. Marco Rubio in Florida, Senate candidate Joe Miller in Alaska and even against his fellow Texas senator, Cruz. “It’s better to have someone who’s knows what he stands for as opposed to a Republican who acts more like a Democrat,” Stockman now adds. On another hot-button issue, Stockman pointed out that Cornyn had claimed that Republicans could not win in 2016 without “resolving” the immigration issue, which conservatives took to mean granting amnesty to illegal immigrants. And, he added, they didn’t like that he killed the amnesty bill (Sen. Majority Leader) Harry Reid (D-Nev.) had sent to the House. Stockman seemed unperturbed, even though his campaign isn’t just uphill, it has turned downright nasty as he comes under a withering attack from establishment Republicans. 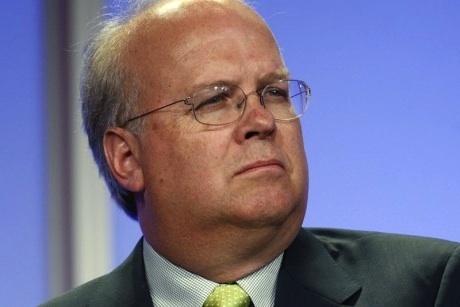 The congressman’s office said the PAC lists Karl Rove’s Warrenton, Va., address in TV station records for its ad purchases. Stockman said Cornyn has had 121 Federal Election Commission, or FEC, corrections and he has also had to back and report outside income. WND broke the news that Stockman plans to file an ethics complaint in the Senate against Cornyn, citing 24 alleged campaign violations. A Stockman spokesman told WND a formal Request For Investigation was filed with the Senate Ethics Committee Monday. He said Cornyn used his Senate office to promote his re-election campaign. Stockman closed by mentioning that any Texan, or any American, who wants to help his campaign can inform themselves on the issues, look at his website to see positions, contribute and even help campaign. Follow Garth Kant on Twitter @DCgarth. 'Not an Echo' set to rock Washington – again! Ex-Secret Service agent: Count the votes!